Bringing a young, fresh feel to Philips is one of Caroline Fountaine’s top goals as the company’s new marketing face for its consumer buisness. Fountaine became marketing manager for this sector at Philips last month and is keen to challenge perceptions of the well-established brand. Her first week in the new job gave Fountaine a chance to do just this, when she hosted a product launch with a hip and funky flavour featuring breakdancers, models and stuntmen. On the day, Philips launched a variety of products it has never offered before – a revamped peripherals line-up, iPod accessories it acquired from DLO, crystal-encrusted MP3 players and its new amBX gaming range. Learning about technology after joining Philips fresh from university in 2003 as a marketing assistant, has been exciting for Fountaine, who finds it much more interesting than the cosmetics she sold while a student. However, making products for women involves much more than wrapping it in pink plastic – design, style and functionality all appeal to women, says Fountaine. She does predict more designer and “blinged” products, such as Philips’ Active-Crystals range of MP3 players and headphones, decorated with Swarovski crystals, to hit the shelves. Although too modest to say how old she is, Fountaine does admit she is probably one of the youngest marketing managers in the industry. “The opportunities for people who are good at what they do and have passion are great,” she says. 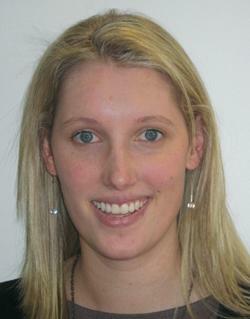 Away from the office, Fountaine is “quite serious” about tennis, plays netball, enjoys skiing and loves travelling.